Amaranta Farm is located in the far northeast corner of Oregon, in what locals call “The North End” of sparsely populated Wallowa County. It’s a region of deep canyons, ponderosa pine forests, and glorious views of the Blue Mountains and Wenaha-Tucannon Wilderness. 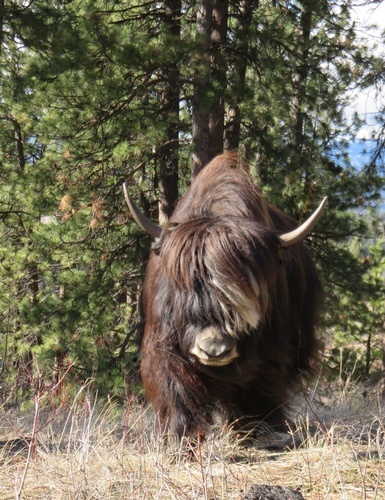 Our cold and snowy winters, dry summers, high elevation (3700 feet) and deep loess soil provide excellent pasture for our pigs and yaks and good growing conditions for our vegetables. 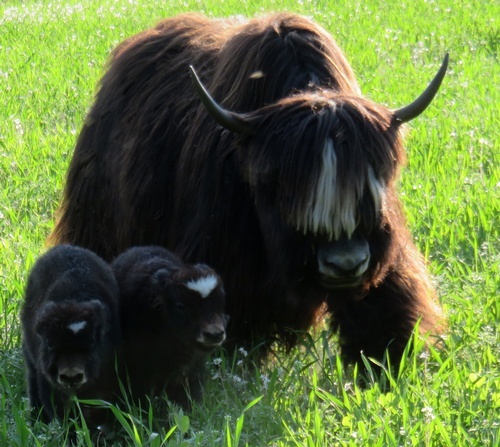 We sell pastured pork and yak breeding stock. We also occasionally sell some produce, including garlic, winter squash and blown goose eggs (for decorating). In the future, we also plan to sell yak meat and fiber. Our land is an old, abandoned homestead. By grazing, cover cropping and moving our roto-rooting pigs around, we’re trying to reduce weeds and bring fertility back into the old pastures. We’re also working to maintain the health of our forests, bunchgrass canyon slopes and wildflower meadows.